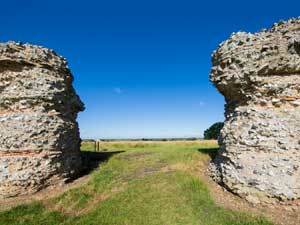 Tourist Information Walk 8 at Burgh Castle to Fritton01493 846346work Walking RouteThis Burgh Castle to Fritton walk is part of the Angles Way and is a 4.5 mile (7.25 kilometre) walk starting at Burgh Castle Roman Fort car park in Burgh Castle near Great Yarmouth. With stunning views over the reed-choked waters and mills along the riverside, this walk takes you along foot paths, farm tracks and village streets. There are no public facilities and some limited opportunities for shelter along this route. You will have a number of choices along the way for refreshments but perfectly placed would be the Queens Head on the High Road in Burgh Castle or the Decoy Tavern in Fritton. Parking: This is a linear walk but parking is available at the car park at Burgh Castle should you choose to use it. 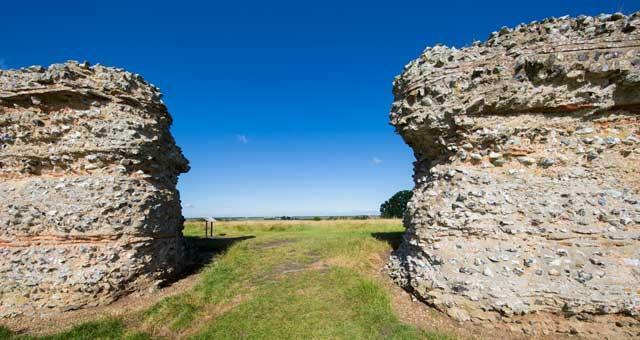 This Burgh Castle to Fritton walk is part of the Angles Way and is a 4.5 mile (7.25 kilometre) walk starting at Burgh Castle Roman Fort car park in Burgh Castle near Great Yarmouth.